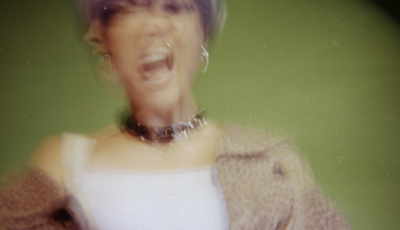 The EP will be titled E-Peace: America in Harmony!, and will feature six tracks. It will include an original song written by The Platters Music Director Michael Larson, “The Love You Gave Me,” and new recordings in The Platters retro-contemporary style comprised of “Someday” (All-4-One), “Imagine” (John Lennon), “People Get Ready” (Curtis Mayfield) and “Amazing Grace” (Traditional) and more. All Access was recently lucky enough to speak with several members of the Platters about this latest collection of music and their long-lasting legacy! Enjoy! How did you all get involved with the Pledge For Peace campaign? Lead singer, Frank Pizarro: As a group we are dedicated to furthering the legacy of our founding and naming member, Herb Reed. To that end, we were having one of our regular brainstorming sessions with our management team, and together we came up with what we think is a very innovative project that captures the essence of that legacy. Senior Member Wayne Miller (22 years): I’ve had the pleasure, as has Frank, of personally working with Herb Reed. He hired me to be in this group 22 years ago. Racial harmony and non-violence was always at the top of Herb’s list of social concerns, and we are proud to be part of this project and know that his spirit is with us. Why did you want to release an album like “E-Peace: America in Harmony!”? Pizarro: I am a proud member of the FDNY [Fire Department of New York] and a veteran of the US Navy — having completed a tour of duty in Iraq. I was at the World Trade Center on September 11th and will never forget the sickening, senseless act of violence that claimed the lives of my brother firefighters along with thousands of innocent people. Since then, it seems that the violence in the United States, not to mention the entire world, is getting worse. It is hard to fathom that in 2015 we are still seeing racial unrest in this country. Young people have to be part of a change in order to not reinforce the intolerant behavior of the past! Miller: Frank’s absolutely right. It seems we take one step forward as a society and two steps back. Everyone has to take a breath and think about what is happening around us! Pizarro: We sincerely hope that people will truly be part of our project. Make it a start of a nationwide movement. Let’s not just give peace lip service, let’s make a difference and come together in harmony! What better way to do that than through music? What do you hope listeners take away from this collection? Miller: We hope the collection allows people to reflect. For the most part, the songs on this EP are very familiar and have been providing positive messages for years. People have to really LISTEN and REFLECT. Pizarro: Wayne’s right. Everyone has to take time to listen to their hearts and together, using a line from an old Coke commercial- “teach the world to sing in perfect harmony”. Youngest and newest member of The Platters, 28-year-old Cheo Bourne: In my generation, music is a significant channel for communication. It’s a way for us to express ourselves and communicate our hopes and fears. The songs we will record on this EP have the unique Platters’ touch in our arrangements. Will these individual tracks change the world alone? Of course not. But this CD can be a piece of reflection, inspiring us to think and implement ways for all of us to make our country a more perfect union of diverse individuals. The violence in the world literally scares me! The insanity has to stop! On PledgeMusic, you are certainly offering pledgers incredible packages. Can you elaborate on them? Bourne: The people truly are driving this project! Every pledger has ownership of this project. They are the executive producers. The least we could do is come up with some very cool packages for them in order to get more connected with us. 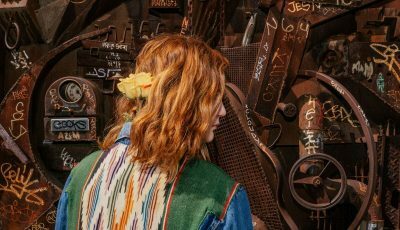 Miller: Pledgers can get up close and personal by traveling with us on tour, through our recordings of special, personalized musical answering machine messages, having us perform at intimate dinners in the comfort of your home and much more! Check out PledgeMusic.com/theplatters and see what we’ve put together in appreciation of your commitment to peace through our project! The Platters have been around since 1952. So, what do you think has been the key to a long-lasting career? Pizarro: The timeless songs and the clear lyrics filled with positive themes of love. What keeps you all doing this year after year? 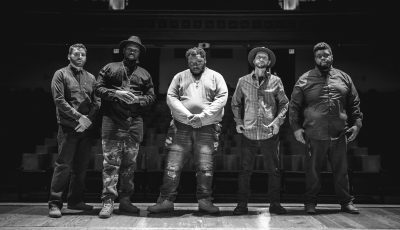 Miller: I think I can speak for everyone when I say that the positive power of music presented with the real emotion and harmony keeps this group going! Out of the groups many musical accomplishments, which ones really stand out to most of you today? Miller: I have to say the fact that The Platters first LP in more than 50 years, “Back to Basics The Platters LIVE!”, has been accepted for consideration for a Grammy nomination in several categories by the National Academy of Recording Arts and Sciences (NARAS) is a particular thrill in terms of honoring and keeping the legacy vital. Pizarro: Interestingly, The Platters never received a Grammy Award. It wasn’t until many years later that the debut singles, “Only You (And You Alone)” and “The Great Pretender” were entered into the Grammy Hall of Fame. Miller: Our submission could be the opportunity for the NARAS to right the wrong and vote for a Grammy to honor the great musical legacy of this group! Pizarro: The music industry today certainly isn’t like it was back in the day. There are a lot of positive and negatives to that statement. What is awesome is that music is now in the hands of anyone and everyone that wants to create and communicate through it. It’s wide open in that respect. You can create a hit song, distribute it yourself online and literally have a hit record through the power of social media. What’s been the biggest change to it since you’ve started performing? 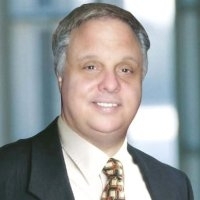 Bourne: While the major labels still have control over terrestrial radio, that grip is weakening as terrestrial radio heads for eventual extinction. Music is at everyone’s fingertips now…unlike in the past. What are your shows like now? Miller: Our shows today are performance focused. We take people on a musical journey. People go back in time with us, travel through the decades of music in the ’60s, ’70s, ’80s, ’90s and 2000s by our performance of songs that were made possible by the existence and hard work of The Platters, and they also go into the future with a sneak preview of our new music. Bourne: I have to say that our new music, some of which has an almost indie rock feel, has been appealing to traditional fans of The Platters music to young people who are connecting with the old tunes and the new music! What can fans expect from them? Pizarro: Fans can expect a family fun, energetic trip back in time and a melodic ride back to the future! What continue to be your favorite songs to perform? Pizarro: I love singing the hits in the style of the founding members. In our show, there is an intimate moment where our music director, Michael Larson, performs “Ebb Tide” at the piano. That’s always a great moment to connect with the audience in an intimate way. What artists do you think are really breaking new ground today and impressing you all? Pizarro: I have to say Bruno Mars. He’s bringing the retro sound into contemporary music and really driving younger listeners to pay attention to our roots. Miller: We hope people take away positive messages from our music and use it a basis of conversation and reflection for personal and societal improvement. Pizarro: The melodies, the harmonies and the lyrics are easily understood. Our music is an experience that can be enjoyed by the whole family, together. Bourne: With our music, everyone can dance, sing and do their thing and feel good about life and the world around them, if just for a moment. Hopefully our music will be a force for change in America’s conversation to promote a better society where we can all celebrate the diversity that is America. So, what’s a typical day look like for you now? Not one day is typical in my life these days! I suppose that’s a good thing, because every day presents at least one – if not multiple – new challenges that result in some amazing opportunities that act as fuel to keep me going. Everything combined keeps me creatively energized and relevant. Our day at the Balboni Communications Group, LLC (BCG) generally begins at 10 a.m. and more often than I’d like to admit, can go until the very early morning hours of the next business day. For example, just last week we were involved with negotiations for an endorsement and live performance deal between our clients, The Platters, and a major conglomerate in Hong Kong, China. Due to the 24 hour time difference, our conference calls and prompt response emails began in earnest around 10 p.m. – after a regular full day of business here in the U.S. This is to be expected though because The Platters as an institution are a worldwide music force. We’ve recently completed a tour in the United Kingdom and Brazil. Next month (September) we’ll be heading to Japan and then on to China. Next year, we will be in Tel Aviv and then Bethlehem, Israel, for a month. At BCG, we can be dealing with our artists and entertainment stakeholders one minute and then the pendulum will suddenly swing, and we’ll have to deal with any given combination of myriad high-level political leaders from one of our branches of government on evolving issues or pieces of legislation. Remember, BCG has three basic verticals: Artist Development and Management, Government and Public Relations. I’ve always supported the premise that there is a very thin line separating the worlds of politics from that of entertainment! 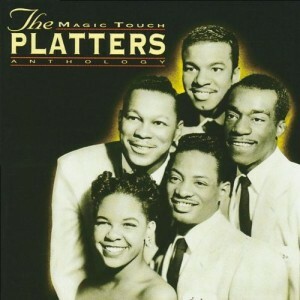 How did you first get involved with The Platters? I first got involved with The Platters in 2005, shortly after BCG was born. 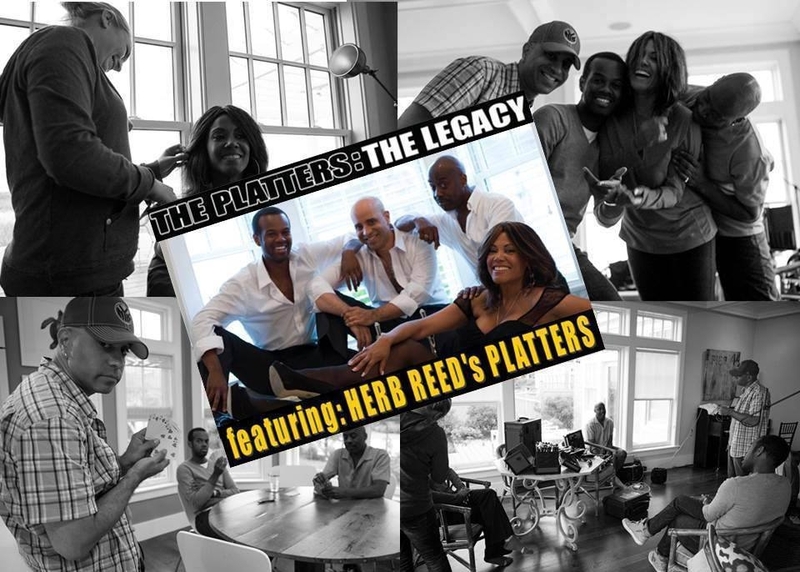 Earlier in 2004, I had the occasion to hire The Platters founder and naming member, Herb Reed, and his group to be part of the entertainment for my mom’s surprise 75th birthday celebration. How long have you been managing them? I signed a deal with Herb to manage him personally in 2005 and have been managing the group since 2011 – shortly after Herb retired from full-time work on the stage. What other artists have you worked with in the past? In addition to Herb Reed – Rock and Roll, Vocal and Grammy Halls of Fame, founder and naming member of The Platters – I’ve had the honor and privilege of working with a great many Grammy, Emmy, Tony and Oscar-winning artists in this crazy business we call show such as: Dionne Warwick, Roberta Flack, Liza Minnelli, Jennifer Holliday, Bobby Bare, The Count Basie Orchestra, KC & The Sunshine Band, Thelma Houston, The Village People and Gloria Gaynor. The list goes on and includes legends that have passed, such as Frank Sinatra and Christopher Reeves. Who else or what other organizations are you working with today? 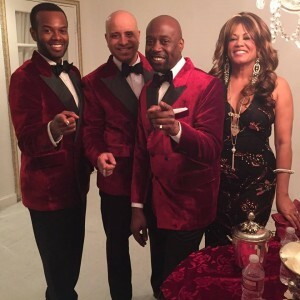 In addition to working with The Platters, we also are managing and developing singer-songwriter James Massone from NBC’s The Voice, Fox News/Business contributor Joe Ligotti, The Guy from Boston, and TLC reality TV stars Dana Gallo Strayton and her husband Rob of the Prince Street Café and Bakery of Bedford, Massachusetts, who were part of Cake Boss Buddy Valastro’s “Buddy’s Bakery Rescue.” Additionally, I still do work with Ms. Holliday, The Original Cover Girls, Freestyle dance music greats Shannon, Stevie B. and Lisa Lisa to name a few. Our philosophy at BCG is to keep our management roster small and noncompetitive between artists enabling us to invest the necessary one-on-one time and focus needed to assist them in reaching their goals and dreams. In addition to our artist development/management practice, among the clients on our government relations roster we represent: The Vocal Music Hall of Fame, a global pharmaceutical company that focuses on drug delivery systems, and we produce headline shows for various entities when called upon. If available, I work as a freelance producer on breaking news events for CBS News in New York. Can you talk about their recent campaign that you are spearheading? Sure. E-Peace: America in Harmony was designed to carry on the commitment to social justice that was begun by The Platters institution in the late ’50s. History teaches us that the quintet was the first African-American vocal group to crash through the racial and gender divide, which launched them into worldwide stardom. To our collective knowledge, this is the FIRST call to action EP of its kind that lists the People of the United States of America as Executive Producers of a special, commemorative CD featuring The Platters – members of the Rock and Roll, Vocal Group and Grammy Halls of Fame. By giving The People an opportunity to Pledge for Peace with The Platters through various “meaningful exclusives,” available through Pledge Music, the revenue raised will fund the project’s own Justice Anthony M. Kennedy Grant for Social Justice, via the Massachusetts Society for the Prevention of Cruelty to Children (MSPCC). The MSPCC is a grassroots family organization that makes a difference in the very place where change needs to begin: within the marginalized young families that form the core of society within many of our communities. Starting at home is the BEST way to begin to affect peace and harmony in our increasingly violent and menacing global society. This CD will hopefully begin a dialogue based on music that will begin bringing America together in harmony, with the primary objective being to restore peace to all levels of our society. Pledgers can even sing on the EP with The Platters as part of the People’s Chorus! This project also features an exclusive track from The Platters forthcoming CD entitled “Our Time.” This is the ONLY project in music today where the people take actual ownership and participate by making a financial pledge and driving the project! This project is literally giving, we the people, an opportunity to come together through the universal power of music in harmony as we all strive to become an even more perfect union. How did they select what songs would be on their EP “E-Peace: America in Harmony!”? We selected the tracks based on music we felt, for the most part, would be familiar to people of all ages and that with a true, but evolved retro-contemporary Platters arrangement, would melodiously appeal to and impact the diversity of America – from the young to the old. It will be produced in a very unique way with an original track written by our Music Director Michael Larson entitled, “The Love You Gave Me,” as a unifying track. Have you always wanted to work with musicians? It seems that my entire life is influenced by music! Since I can remember, my mom and dad always had classic country music on the radio. I grew up with Johnny Cash, Waylon Jennings and the boys (and girls too) and would dream about writing music or performing on stage with them! Growing up, what did you see yourself doing? Even though music was a major force in my life, I also dreamed (not necessarily in this order) of being a broadcast journalist, weatherman, teacher and a lawyer. I guess you can say I’ve been lucky enough to experience and even work in many of these positions. My instrument is voice with an understanding of its place in communicating and moving the score. When I was in elementary school, my mom enrolled me in voice lessons and that exposed me to many different musical genres. This really allowed my music tastes to become very diverse. I have to say though that classic country occupies a special place in my heart. What do you see next for The Platters? In addition to the E-Peace project, we are working on compiling our 2016 debut LP of original music written for and even by some members of the group, we are finalizing our appearance as special guests in a new, original Broadway Musical scheduled to open on the Great White Way Q1 in 2016, we’re finalizing a one-month appearance in Tel Aviv and Bethlehem, Israel, in Q2 of 2016, we’re currently in negotiation with a major casino on the North Strip for a permanent residency sometime late 2016, and we’ll continue to appear in theatres, performing arts centers, fairs and festivals across the United States as time permits. 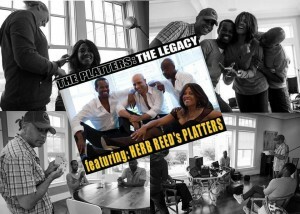 Most importantly, as we spread the hard-earned legacy of our founder and naming member Herb Reed – and the other founding members, Tony Williams, David Lynch, Paul Robi and Zola Taylor – we enjoy and meeting old and new fans and sharing the timeless and new music born in the institution that is The Platters! What advice would you give to someone looking to get into managing bands? Get a well-rounded education, look at the entire landscape in the picture and not just a part of it. Think outside the box, be creative, innovative and don’t take on more artists than you can actually devote the necessary time and attention that you must. Remember, their hopes and dreams are in your hands. That’s an awesome responsibility. This is an exciting time in the music/show business. Technology is constantly evolving and changing; change and evolve with it. Music is at everyone’s fingertips and is clearly an integral part of our communication process as it is a universal language that everyone throughout the world can understand. Get in tune with it! 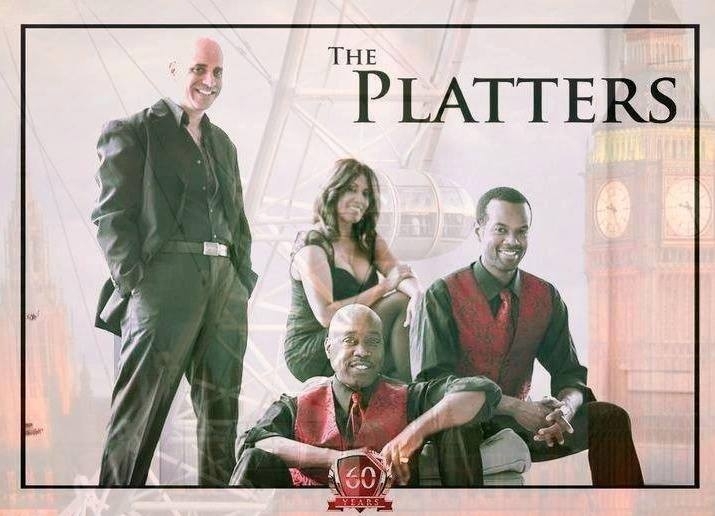 Anything else you would like our readers to know about The Platters music today? The Platters music and message is as relevant today as it was more than 60 years ago. Remember, The Platters music stalled in 1969 when Herb left the founding group. In 2011, the evolution of the group restarted and is gaining steam each passing day. History teaches us that we learn from the past, the legacy of the institution continues today making The Platters the future, now!